This page highlights Artstor content related to theater and dance, including images of costumes, venues, and staged performances from around the world, as well as portraits and performance shots of notable playwrights, theater directors, choreographers, set and costume designers, actors, and dancers. 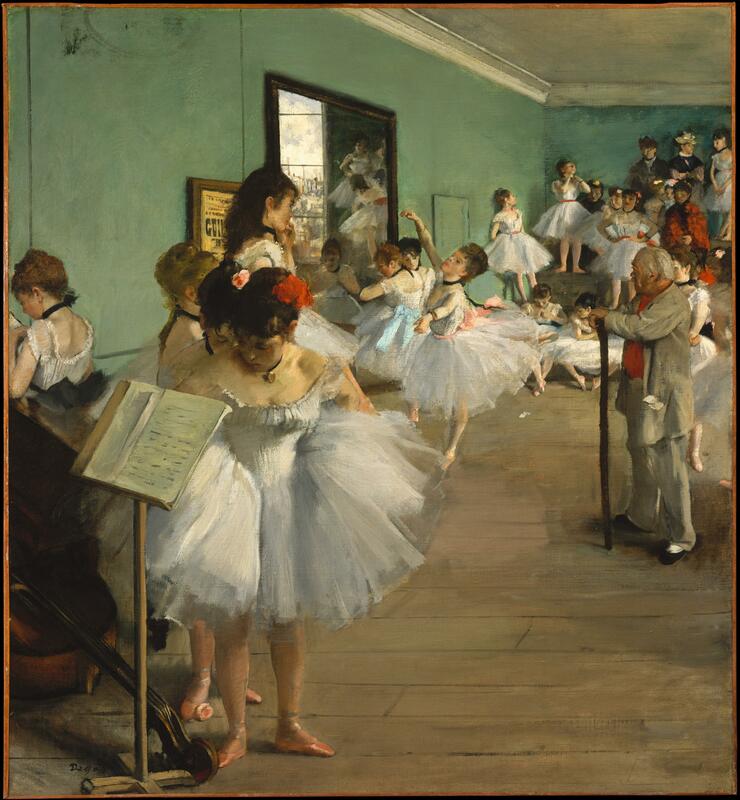 Image source: Edgar Degas. The Dance Class. 1874. The Metropolitan Museum of Art. Browse by classification for Performing Arts and then select a country name to limit your results. Keyword search for individuals and sites associated with performance, using terms such as theater, opera house, concert hall, etc. Keyword searches for the terms actor and dancer will retrieve over 1,000 results — use the advanced search to add a date range or limit to a geographic region or country name. Try these sample search terms to find images related to theater and dance. Don't forget to use the search filters to narrow your results. The Historical Scenic Design (Alexander Adducci) collection includes elements from almost 90 opera settings, with hundreds of backdrops and borders, and thousands of framed scenic units, as well as maquettes. It comprises virtually the entire repertoire of operas produced by Oscar Hammerstein's Manhattan Opera Company, and also documents the development of opera theater in Chicago, with examples of theatrical scenery from the Chicago Civic Opera Company, the Lyric Opera of Chicago, the Chicago Grand Opera Company, and the Chicago Opera Association.